Your Life, Your Mind – It Matters! One Summer Day – A Novelette! Are you in love with your past? I consider my past as a struggle and the fact that I was able to break free, is something that I have always been proud of. I am a strong believer of the notion that people should find a way to accept their past and be proud of it in order to move onto a better future. But off late, I find myself referring to my past more often than not. When you think about it, how often should you remember or talk about your past? How healthy is it for your current self? Accepting it and being proud of it is one thing, but hanging onto it and constantly recalling it, is a whole different thing. Most people hold onto events that have been judged to be strongly negative or positive. It could be a past that was too painful or it could be something that brought you tremendous joy/success. Either way, hanging onto that past dominates the present and dictates what’s possible and what’s not. By letting the past dominate over your present, you are limiting yourself. Whether it is a past filled with struggles or one with a lot of success, holding on too tight to your past may not be that beneficial in the long run, says the experts! The question in your mind, obviously, is what can you do? What is it that you need to do to fall out of love with your past? What can you do to ensure that you have moved on and moved on for good? So here are some tips that I came up with to answer your question. When starting your journey into the present and the future, the first thing you have to do is to look back one last time. Yes, you read that right, in order to move on, you need to look back and confront your past – be it your past success or your past struggles! If you find it too traumatic, reach out for help. Talk to a loved one, a mentor, a therapist or anyone you trust, but talk! Do not feel ashamed to open yourself up completely to that person. If you have decided to talk, then do so sincerely! From my experience, it was best to speak to someone who knew nothing about me, that way, I was sure that whatever advice they gave me was unbiased. That’s why I chose to speak to a therapist. Once you confront your past, next step is to accept it. There is nothing you can do to change the past. What has happened has happened, thinking about it every time is not going to undo or redo it for you. Your pain is not going to wash away just because you keep trying to play it over and over in your mind neither is your success going to repeat just ‘coz you reminisce it at all times! The only thing to do is to acknowledge and accept it as a part of you. I know, it is easier said than done. People tend to hold onto their fears, resentment, past failures and success because unbeknown to them it gives a kind of orgasmic pleasure. This is hard to break off but not impossible. Start by keeping a tab on yourself. Every time you catch yourself falling into your past, stop yourself! Tell your mind to just ‘Shut up’. Seriously, try it and you will know what I mean. Use something like ‘I am not talking to you now’ or ‘Just keep quiet’ or whatever that you find amusing. But say it out aloud and you will notice that your mind suddenly switches off those thoughts from the past. As you keep doing this, your mind will eventually start to forget everything that you want to push away. The next thing you need to do is to Forgive – Forgive yourself and anyone else that you hold responsible for your pain. When you forgive yourself you will automatically begin to forgive others. As impossible as this sounds, it can be extremely liberating for you! You will feel as though a heavy weight has been lifted off your chest. Finding yourself is no easy task either. You need to do some ‘soul searching’ and also learn to be relaxed at all times. Try activities like Yoga or meditation or swimming, biking or running- whatever relaxes you. It is important to find an activity that you enjoy and be consistent with it. Write down your feelings, if possible, every day or at least on the days when you feel you are emotionally charged. It would be a good idea to keep a journal or an emotional diary. Write down everything that is on your mind and read it back to yourself. You will be amazed at how much this exercise can help in finding yourself. Think about what you would like to achieve from your life and set a goal for yourself. Do you have a dream that you would like to fulfill? If yes, then find ways to start working towards realizing that dream. If no, then think about what makes you happy and start working towards achieving that. Some people find happiness in helping others, so join a local charity and do some volunteer work. Others want to achieve something for themselves like love, money, fame etc. whatever it may be, work towards achieving it, but remember to be realistic while setting the goals! Finally, make a fresh start. Analyze your social circle and spend more time with family and friends who genuinely care about you. Weed out the ones who create a negative impact, burn bridges if you have to! You will be doing your mind a favor with this activity. Letting go of our past and moving forward is one of the most amazing things we can do for ourselves. When you begin to heal, you start to uncover a whole new person. You will radiate, glow and start feeling fully alive. You will also find yourself surrounded with those that mirror this back. Remember that these experiences only makes us wiser, stronger and more prepared for whatever is coming our way. I will leave you now with this amazing video by Actualized.org where he talks about letting go of your past! ← It’s not Violence, it’s only Emotional Annihilation! Very inspiring post. My sensible mind has been asking to let go and move on but my distressed self just hangs on – looking for details and alternatives. Felt like my sensible self talking these words of wisdom to me. I get the the “forgive” part, but I don’t think I’m going to forget. If I forget my past, I would repeat the mistakes I made. Good thoughtful post! Awesome Post. I really enjoyed the this. We do have to LEARN to LIFE with our PAST. To learn from it. To grow so we can continue to grow. For me, I need to remember the past for that is where Bobby is. I live for his memories. The 25 almost 26 years years he lived here on earth. I try and celebrate his life. In celebrating it, I was able to go on with my life. To rebuild it. I will never let the past go, but I have learned to appreciate the present and live for the future. I talk about my son when I need to. Or the time seems right. Many people after losing a child remain forever in the past. I had a choice to make at the time of his death. To stay in Colorado with our memories. Or to move to Florida to marry the man I love. I chose love over the past. I may never like Florida’s climate. I may always wish we didn’t live here…but I will never ever wish I’d never moved. I am rambling as I often do. Saying all I just said: I do have to watch how often I go back in time. I was happy back then. I am not happy now. Not like I need to be. I really wouldn’t want the last 9 years not to have happened. I have Awesome memories here In Florida. I believe we all have things in our past we sometimes wish we could redo. Or we remember an old flame and wish …….Well, I won’t go there. It’s normal to wonder what would have been. Sarah, I can only imagine what it must have been for you to go through all that, being a mother myself, I shudder at the thought. Having said that, I also feel so proud of you for having found the courage and strength to live with this, you really are a brave woman. I am sure Bobby is proud too. Keep going and I wish you all the best! Great post. I analyse things too much and go over and over things in my head. It drives me crazy! It’s taken me a long time to move on from the past few years. It wasn’t until I accepted things for what they were and took one thing at a time, did things slowly get better. One thing I did take up was cycling. It gave me a sense of freedom when I was on my bike. Writing things down though… I find that too hard. Look froward to reading more posts. Thanks so much for this, it was a great help! For the past year I have been unhappy as I spent all of my energy trying to recreate the amazing year before. Of course, it didn’t work due to circumstances out of my control, but I’m ready to move on now, and enjoy every day for itself! Thank you Irene, hope you come back to read more! This post is so touching. There are two years of my life I wished to erase. I didn’t like the “past-me” with shame. But recently I started to realize that our past made us. Without the stupid and crazy things I did in the two years, I will never ( or it may take me longer to ) know what I really want in life. Great post, looking forward to read more. 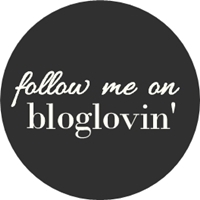 Love your blog, it looks good and is well written. I will be returning! Need to get rid of those negative thoughts! Follow The Blog - It Matters! A Single Mom with an un-breakable passion to LIVE the Life! I am a Fighter, a Survivor! An Analyst by profession and a Writer by passion! Women Empowerment Advocate, Fights against Child Abuse and Violence against Women and Children! Making the Transition from a Little Child’s Mom to a Tween’s Mom! Top 10 Indie Books for Indie April!